The libraries in Michiana have been on the cutting edge of technology. In particular, the St. Joseph County Public Library has been nationally recognized for their constant innovations. Description: The Collection: Our collection, made up of books, magazines, audio CD’s, and much more, form a collection that exceeds 64,000 items! In addition, we house the Berrien County Genealogical Society collection. 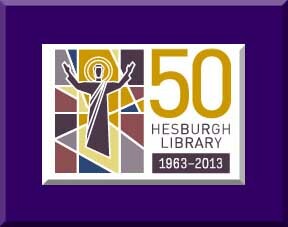 Description: Since 1940, our library has served the public in Bourbon, Indiana, and the surrounding area. Description: The library currently houses over 68,000 items, serves a population of over 8,000 and has 5,000 registered borrowers.As the library goes into the new millennium its goal it to "connect people, information and ideas." Description: The library owns approximately 45,000 items. These include print materials in regular, large print, magazine and newspaper; audio books in cassette, MP3, CD and playaway; films in VHS and DVD; video games in various platforms. 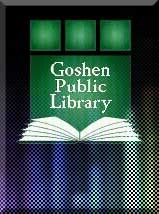 Downloadable books, audio, music and films are available through Overdrive at the Southwest Michigan Digital Library on the website or directly through the card catalog. Your pin for any Overdrive download is your 10 digit phone number. Freegal enables you to download 3 songs every week with your library card, yours to keep! Log into the catalog and click on the Freegal icon to access over 7 million songs. Description: Learn4Life (formerly called Ed2Go) offers a wide range of highly interactive courses that you can take entirely online. As a library card holder in good standing, you are entitled to enroll in up to five courses per calendar year at no cost. Courses run for six weeks and new sessions begin every month. These online courses are fun, fast, convenient, and best of all, they are no cost to you! Description: Constantine Township Library is located in St. Joseph County in southwestern lower Michigan on the beautiful St. Joseph River. Description: In a democratic society the public library constitutes a resource where the individuals are free to learn about controversial issues, to consider them from all sides, and to arrive at their own decisions. Therefore, facts and opinions on important, complex and controversial subjects about which there is a general concern must be freely available. 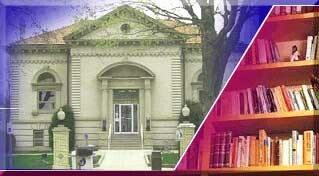 Description: Located in the heart of downtown Elkhart, the Library serves a population of 92,236. This includes the City of Elkhart and Osolo, Concord and Cleveland townships. EPL consists of four branch libraries and the Main Library. 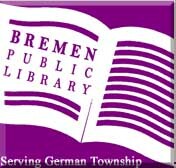 Description: The mission of the Galien Township Public Library is to provide quality materials and services, which fulfill educational, informational, cultural, and recreational needs of the entire community in an atmosphere that is welcoming, respectful, and businesslike. Description: This building housed 50,989 library materials when it was originally constructed in 1968. It served a population of 19,022 with 8,468 cardholders. In 1994 the Library completed a major renovation project. The Library now houses approximately 175,000 items serving a population close to 37,500 with over 23,000 cardholders.The main level of the Library provides Adult and Young Adult Services, Reference Services, and the Indiana Collection. Located on the lower level of the Library are Children’s Services, Audiovisual Services, Technical Services, and meeting rooms. Description: The Hesburgh Library Research Help Desk is located on the north side of the first floor. This area houses the extensive print Reference collection and offers a number of research stations for online access to information. The librarians at the Information Desk can assist you in locating and evaluating information resources. Reference Librarians are also available by phone, e-mail and IM through the Ask a Librarian service. Graduate Assistants are also available to help with research, productivity applications and other technical issues. This staffing model is designed to support your scholarly research in a single location. Computing Clusters are located near the Research Help Desk. The clusters are equipped with desktop computers, 4 B&W printers, 1 COLOR printer, 4 scanners and 2 copiers/scanners. Laptop computers are available for 2-hour checkout from Circulation/Reserves Desk. The clusters also include areas for group collaboration. Description: Serving the community for more than one hundred years, the Ligonier Public Library is a tax supported facility available to all people of the community and dedicated to acquiring, organizing, and providing access to materials for information, education and entertainment; developing programs and services for all patrons; providing a center for cultural heritage; making available facilities and resources for community participation. It was one of 2,811 libraries that were built by Andrew Carnegie. The first library in Noble County to be built, it was completed in 1908. The library has experienced a gradual growth in both the book collection and the number of patrons that frequent it. Starting with 1,000 books, the collection has grown to over 31,000 different items with thousands of Evergreen Indiana patrons being served. Although book borrowing is still the major service, other services have become available to patrons. Among these are DVDs, CDs, interlibrary loans, painting and print loans, and computer access. In 1975, a new addition was added to the library which houses the adult fiction section, community room, and office. Description: In the middle 1890's the women of the village of Marcellus formed the Ladies Library and anyone could belong by paying a one dollar per year for membership. Their books were at one time kept in the Flander's Jewelry Store on Main Street. After having moved to several other locations over the years, the ladies donated their books to Marcellus Township for a public library. The books were then moved to the east room of the Marcellus News building which was rented for the purpose. Mary Remington was the first Librarian of the Marcellus Township Library, succeeded by a number of local women. The current director is Christine Nofsinger, who became director in 1994. A young local man named Russell A. Wood, a World War I soldier, died in the influenza epidemic in 1918. He left a bequest of $7,000 to be used to build a library building for the community. Local residents furnished the required matching $4,000. The original building was completed in 1924, and since then two additions have been completed, all with funding from our community. Description: The 1995 building expansion added 4,409 square feet to the existing building, more than doubling its space at a cost of $1.2 million. It was the first Milford building to have an elevator making it fully accessible to the handicapped. A Multi-Purpose Room, with accommodations for approximately 60 people, is available for public use. Today, the library’s on-line computer catalog can access over 37,600 items – books, periodicals, CD’s, CD-Roms, DVD’s, videos, etc. found in the library. The library has internet access (including wireless) for public use. It serves a population of 4597 (4013 in Van Buren Township and 584 in rural East Jefferson Township). The Library continues to grow and expand its resources to keep up with the technological advances of the 21st century. Description: Has meeting rooms available for non-profit groups and a large computer lab. Computer Services maintains a 22-station Computer Lab at the Mishawaka Library for patrons entering 7th grade to adult providing a comfortable location for creative work and the pursuit of information utilizing computer technology. Computers in this room have Internet access and word processing programs, including Microsoft Office Professional 2003 with Publisher. Flatbed scanners are also available for scanning pictures and documents as well as access to color printers. Use of the scanner is free, color prints are 50¢ each. Gloss paper is also available for an additional 50¢ each. The Computer Lab is open every day the library is open (except when classes are scheduled) and closes fifteen minutes prior to the library's closing hours. Patrons may register in the Lab for one-hour Internet sessions or two hours on word processing, not to exceed 2 hours computer use per day. Books: Our collection is over 100,000 volumes system wide. 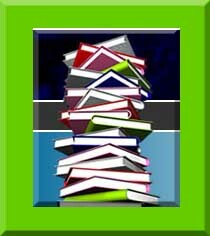 We have a wide variety of fiction, classified and reference materials for adults and children. Art Prints: We have a collection of about 30 framed art prints from classic to modern. Art prints may be checked out for 1 month and renewed for an additional month if there is no reserve on the print. Audio Books: Our growing collection includes classic novels, self-help books and contemporary works. Videos: We have almost 10,000 videos in DVD and Blu-ray formats. CD-ROM's: The library has over 100 CD-ROM's available for both check out and in house use, system wide. There are educational and entertainment titles for all ages. Magazines & Newspapers: We have over 200 titles that include vast quantity of topics. We have collections for adults, young adults and children. Magazines are kept for at least the current year and one full year prior for research purposes. Computer Facilities: We have computers available for public use. 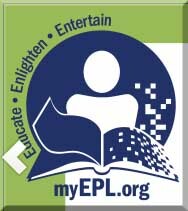 Click HERE to download or read the Noble County Public Library Computer Use Policy in its entirety, in .pdf format. of the 316 public libraries in the U.S. serving populations of 100,000 to 250,000 people. In 2010, SJCPL ranked 11th among these 316 public libraries. They were one of the first to have internet access for patrons and have consistently stayed ahead of the technology curve with extensive computer labs, laptops and tablets available. They host Science Alive and have ongoing computer classes. Description: Syracuse-Turkey Creek Township Public Library is an information center providing resources in a variety of formats to serve the needs of the citizens of Turkey Creek Township, including the town of Syracuse. It is funded through local property tax assessment. Borrowing privileges are extended to all residents and property owners of the taxing area and to students of the Wawasee Community School Corporation. Turkey Creek Township is one of seventeen townships in Kosciusko County, Indiana, with less than 10,000 year-round residents. Due to the proximity of Lake Wawasee and Lake Syracuse, many of the library’s patrons are summer residents. Wawasee Community Schools enroll more than 3,000 students who are eligible for free library cards regardless if they are residents of Turkey Creek Township. The library has a full range of materials to choose from, including a large print section, periodical section, audio book section, video (both VHS and DVD) section, as well as many volumes of reference materials in addition to fiction and non-fiction selections (for children, adults and young adults). There is a local history section, with volumes outlining the history of Kosciusko County and Indiana history in general. The microfilm collection includes local newspapers dating from 1875 through 2004 (as of 2009); physical copies of local newspapers are kept in the library for five years after the publication date. There are approximately 87,000 library visits each year. The mission of the Van Buren District Library is to provide the residents of the district library service area with access to print, non-print, audio-visual, and other information resources. In meeting this mission, the Library strives to assist people in meeting their educational, recreational, and cultural needs. Description: Service to our users is our reason for being. Those who need us most are our highest priority. Our mission is to become the best rural public library in Michigan by being so focused on the people we serve and so supportive of each other's efforts that we are able to provide highly valued services to everyone in our community. We strive to inform, enrich and empower every person by creating and promoting easy access to a vast array of ideas and information, and by supporting an informed citizenry, lifelong learning and love of reading. We acquire organize and provide books and other relevant materials; ensure access to information sources; serve our public with commitment and caring; and reach out to all members of our community.